Dr Margaret Kadiri is a Teaching Fellow in the Geography Department at King’s College London. Her research tackles one of the main challenges facing the tidal renewable energy sector which is the lack of understanding of the hydro-environmental impacts associated with tidal renewable energy schemes. Tides are a highly attractive source of renewable energy. The regularity of tides reduces uncertainty over power generation while also reducing carbon emissions and increasing energy security. In the UK, tidal energy presents substantial opportunities for large scale clean energy generation and there has been an increased interest in the generation of electricity from tidal energy sources in recent years, with plans for a tidal lagoon scheme in Wales, the first in the world. Alongside plans for the development of such schemes comes the need to understand their potential impacts on the hydro-environment as this has impeded the growth of the UK’s tidal energy sector. 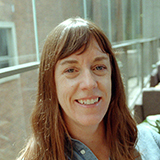 Margaret’s work aims to address some of the hydro-environmental concerns, and to find mitigating measures to minimise the impacts, particularly the risk of eutrophication by nutrient enrichment. Ultimately, this will help in designing schemes which can maximise power output with the least environmental impacts. To this end, Margaret recently returned from a field expedition of the potential site for the proposed tidal lagoon in Swansea Bay in collaboration with colleagues from Swansea University and Imperial College London. 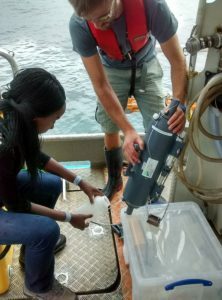 In addition to providing baseline conditions, the water quality data collected during the field expedition will be used to assess the robustness of a novel coastal ocean model which is been developed at Imperial College London (http://thetisproject.org/). 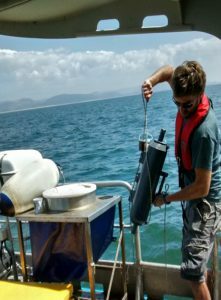 The aim is for the model to be employed as a reliable tool for water quality impact assessment of prospective tidal renewable energy schemes and to develop a functionality to accurately assess the risk of eutrophication. Dr. Maria Rusca – a Marie Sklodowska-Curie Research Fellow and Lecturer in Water and Development at our Geography Department at King’s College London – is the Principal Investigator of “Investigating Natural, Historical and Institutional Transformations in Cities (INHAbIT Cities)”, aiming at improving understandings of the dynamics of basic service provision in urban and suburban spaces in the global South. The project particularly investigates the relation between urban infrastructures, distribution of everyday risks and uneven conditions of access to water in Maputo (Mozambique) and Lilongwe (Malawi). Maria believes that strong connection and commitment to a cause comes with inspiring stories; she has thus decided to engage with larger non-academic audiences and policy makers by disseminating INHAbIT’s research findings through a short documentary. “Lilongwe Water Works?” tells the stories of women accessing or providing water where the formal utility provides water through public water kiosks (see picture). 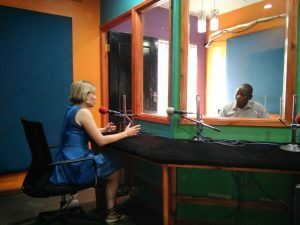 In addition to using her documentary intitled “Lilongwe Water Works?” as part of the education curriculum of Water and Development at King’s College London, and Water Governance at IHE Delft, Maria returned to Lilongwe a few weeks ago to share her findings at various events she organised. 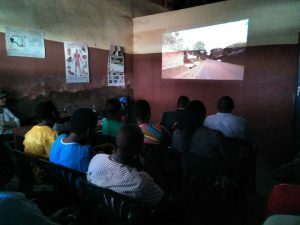 The documentary was projected at the Water User Association in one of the informal settlements, where some community members, water users, and contributors to the documentary were able to discover and discuss the final output; the same was done in an informal settlement’s school; another projection was done at the Lingadzi Hotel, with water stakeholders (the World Bank, UNICEF, the Ministry of Water, Lilongwe Water Board, the Economic Justice Network, Lilongwe City Council, WASAMA) and journalists (Zodiac, Reuters, AFP, Free Expression institute, Times Group, Capital Radio, Nyasa Times). The most impressive moment for Maria was to see how the documentary was able to raise debates and even confrontations in ways she had never experienced before. During these debates, concerns were raised about the role of Water Users Associations: while on the one hand they are considered to be useful in ensuring water supply, they are also causing water to low-income areas to become increasingly expensive and often unaffordable (see referenced papers at the end of the post). 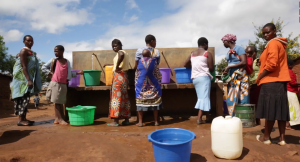 SYNOPSIS: The water utility in Lilongwe, capital city of Malawi, serves people living in low-income neighbourhoods through a system of water kiosks. The kiosks work like shops, which opening hours when people can go buy 20 litre buckets of water. This documentary tells the stories of the women and men that access water through the kiosks and those who are involved in running them. Their stories reveal both the successes and the failures of providing water through kiosks and call us to question whether this system can ensure the human right to water to the residents of Lilongwe’s peripheries and to others elsewhere in the world. 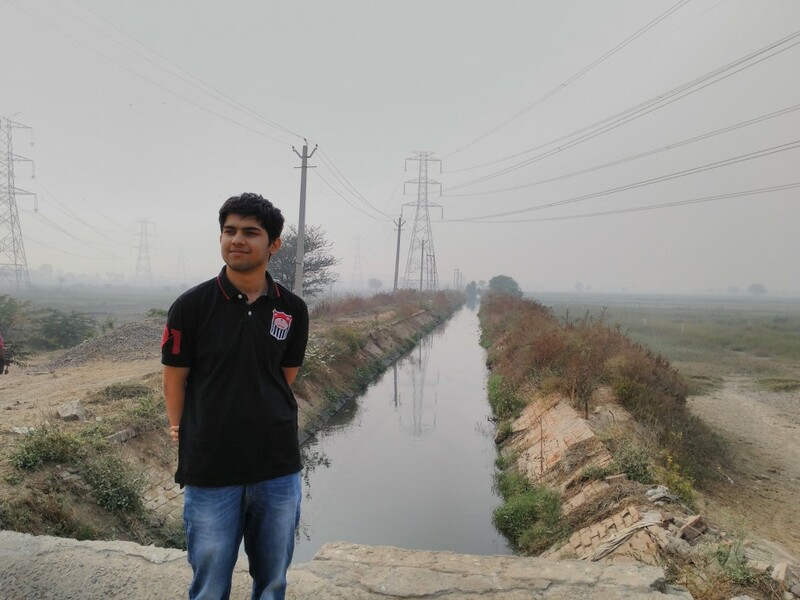 Tiwale S., Rusca M., Zwarteveen M., The power of pipes: mapping urban water inequities through the material properties of networked water infrastructures. The case of Lilongwe, Malawi, Water Alternatives, Water Alternatives 11(2): 314-335. Bold and inventive solutions are urgently needed to safeguard the future use of water. Collaborative-innovations are increasingly championed but it’s often unclear what influences the success (or failure) of these efforts. Using an international systematic literature review of empirical studies, we identify 22 key themes. Yet the importance attributed to each theme, agreement amongst the studies reviewed, and compatibility of the themes, varies considerably. We caution against the uncritical use of different themes and call on researchers and practitioners to recognise the darker side of water collaboration. Recommended reference: Porter, J.J.; Birdi, K. (2018) 22 Reasons why collaborations fail: Lessons from water innovation research, Environmental Science & Policy, 89, 100-108. This research is first of a series of outputs produced as part of the Engineering and Physical Sciences (EPSRC) TWENTY65 – Tailored Water Solutions for Positive Impact – Grand Challenge programme. The next research outputs will critically examine the themes identified here by comparing them with the first-hand experiences of those working in the UK water sector (e.g. water companies, suppliers, regulatory bodies, and research institutions). Abstract: Bold and inventive solutions are urgently needed to safeguard the future use of water. In response, collaborative-innovation is increasingly championed. If stakeholders including water utilities, supply-chain companies, research institutions and local communities work together, share their experiences and pool ideas, meaningful change could happen, it’s argued. But effective collaboration is far from easy. For every incentive that drives collaboration forward, another barrier blocks its path. Whilst the literature offers many possible factors that influence the success (or failure) of collaborative-innovations, it remains unclear which factors are most important, where the highest agreement and disagreement exists, and if accommodating one factor creates problems for another. This is important because its not always practical, nor necessary, to apply everything from the academic literature. In this paper, we report findings from an international systematic literature review that brings together a range of studies that cross the water collaboration and water innovation divide. We identify 22 broad themes that are spread (unevenly) across the entire collaborative-innovation process; highlight how the level of attention given to each theme varies greatly; and where disagreement exists. Our research provides practical insights on how to create more effective collaborative-innovations in water and where future research should be directed. Four King’s Water doctoral researchers have just completed an interdisciplinary methods experiment in the Yucatan Peninsula. The trip included presentations at the XVI World Water Congress and the formation of a new institutional partnership with CICY, the Centre for the Scientific Study of the Yucatan. King’s College London is a research-led and student-centred university. The calibre of our research and teaching is among the very best in the world. It is our belief that our students should be involved in the cutting-edge research that makes King’s the university that it is today. King’s Undergraduate Research Fellowships give undergraduate students the unique opportunity to learn alongside leading academics. This year, King’s Water is proud to announce that several of the KRUF positions are for placements with our staff. The Department of Geography has recently launched a series of Departmental Talks marking recently completed sabbatical leave. In the second installment, Bruce Malamud will be speaking on “From landslides, (palaeo)floods and tornadoes to hazard interactions”. This talk will take place on Tuesday 7th March at 6pm in Room S-2.08, with free drinks served beforehand from 5.15pm in the 4th Floor Geography social space. A sabbatical is a focussed period to work on existing projects you have not been able to focus on, begin new research, and to apply for grants for future research, so that you have research ‘fat’ that will carry you over during the busy periods of teaching and administration upon return from your sabbatical. 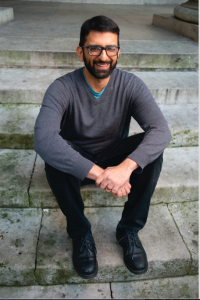 Paraphrasing from a meeting with Denise Lievesley (former Dean of SSPP) Bruce Malamud reflects on research undertaken and grants applied for and obtained, during his one year sabbatical (2015/16). Research included work on landslides, palaeofloods, tornadoes, hazard interactions, and invasive alien species, resulting in 6 papers submitted (4 now published/in-press). Grants submitted that were successful included: (i) as lead investigator a £2M NERC/DFID grant ‘LANDSLIP’ on early warning systems of landslides in India (with KCL co-investigators G. Adamson, A. Donovan, M. Pelling), and 2 small grants (£90k PhD studentship on UK hazard interactions with EDF energy, and €4k for a secondary school workshop in Malawi), and (ii) as co-investigator one large and one medium grant. The talk will focus on some of the research worked on during this period, the 4-year grant LANDSLIP in India which was applied for and started Nov. 2016, and some slides from countries visited (often together with other KCL staff members) during his sabbatical year, which included Austria, China, DPRK, Germany, India, Italy, Kenya, Malawi, Spain and USA.